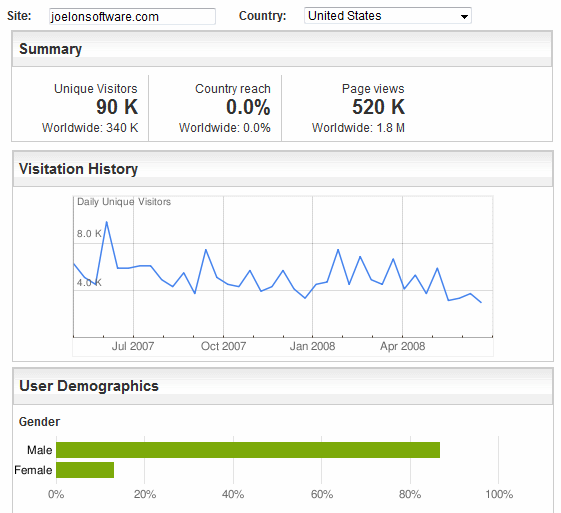 Which Software Blogger Do Girls Like Better? Today I received an invite to Google Ad Planner. As I was playing around with this new tool, I was really blown away by how much information Google has collected on specific websites. So much so that I wanted to share this tool with my readers, but I couldn't come up with an interesting way to demonstrate the capabilities. Until I started looking up some of my favorite bloggers and saw the almost embarrassing balance between females and males. 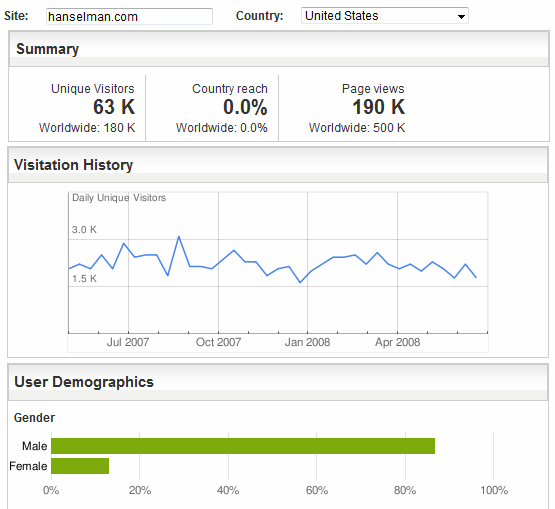 with Google Ad Planner, to find out who is more popular with the ladies, Scott, Phil, Jeff, or Joel. I know this is one of those questions that has been hotly debated by nobody, but I thought it was a good mechanism to demonstrate what kind of information Google Ad Planner can show. Please note that I wanted to also analyze, Rob Conery and Jon Galloway too, but their data was yielding results that I don't think was accurate. Possibly because Google didn't have enough information to classify them yet. 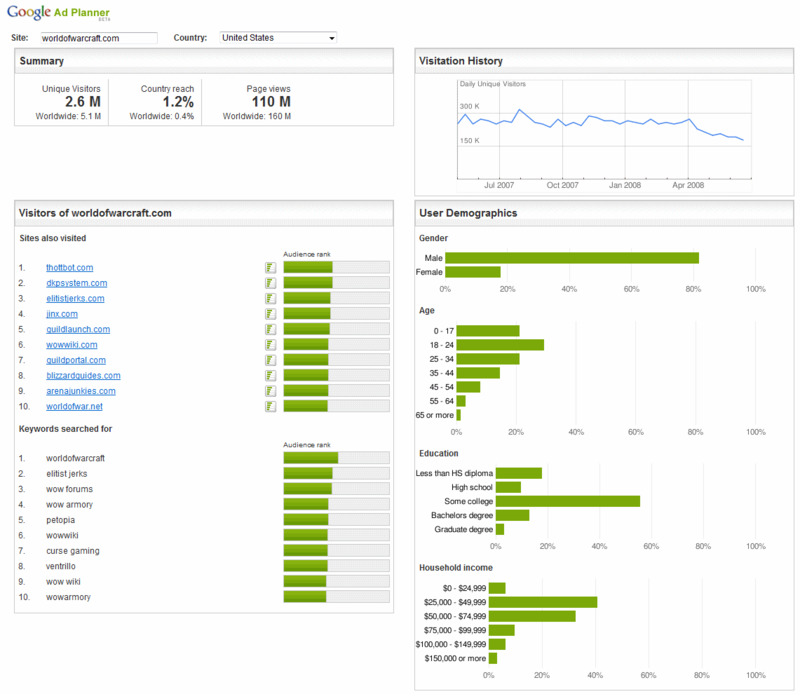 What is Google Ad Planner? Google Ad Planner is a free media planning tool that can help you identify websites your audience is likely to visit so you can make better-informed advertising decisions. Define audiences by demographics and interests. Search for websites relevant to your audience. 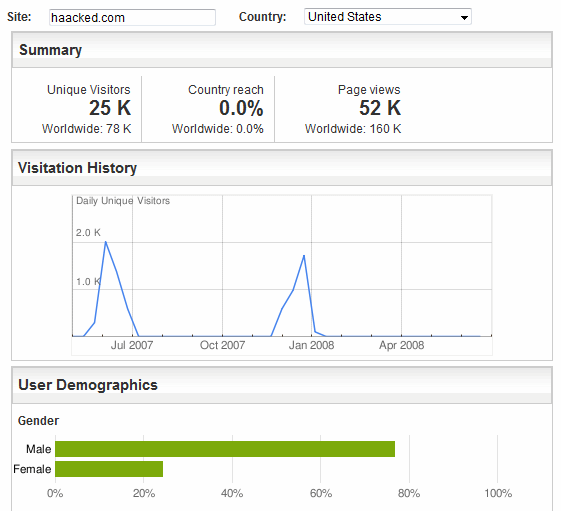 Access aggregated statistics on the number of unique visitors, page views, and other data for millions of websites from over 40 countries. Create lists of websites where you'd like to advertise and store them in a media plan. 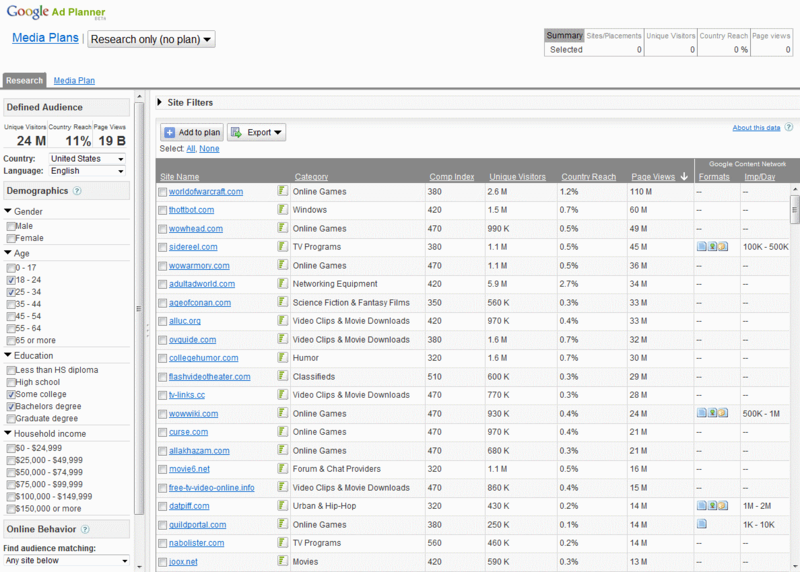 Generate aggregated website statistics for your media plan. Get to it already, which blogger is it? Phil and Scott had pictures of them self on their frontpage and seemed to do better than Jeff and Joel who didn't. By a pure numbers game, Jeff and Joel should have been leading the pack because, they had a broader reach, and thus higher page ranks. The last one, which I think is most important for attracting the ladies to your blog is: Phil was the only blogger to post a picture of himself with his son, on the front page. Hope you enjoyed this preview of Google Ad Planner, it has some really nice analytical features that will help anybody doing a high level comparison of demographics for different websites. 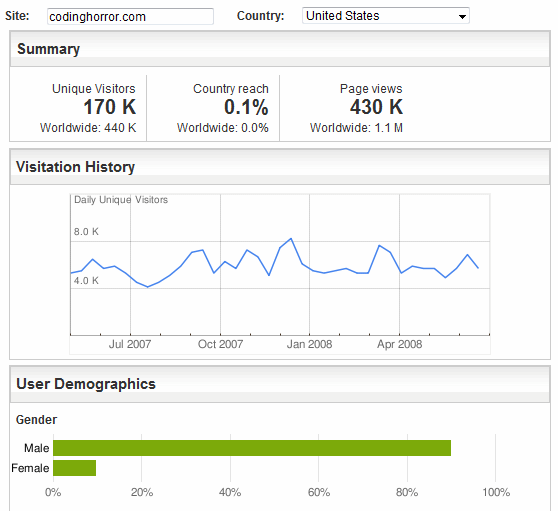 Note: I didn't include my self in this analysis, because Google Ad Planner didn't actually have an info sheet compiled for coderjournal.com.